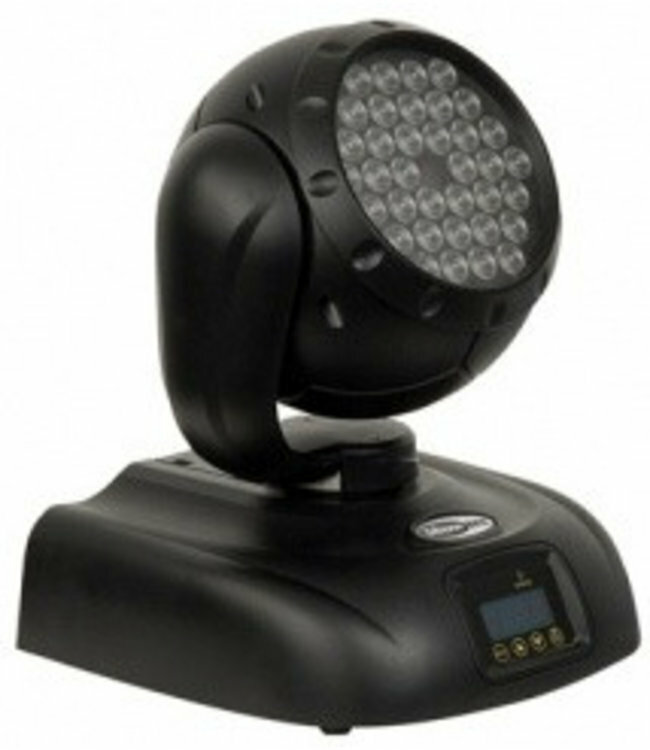 The Orbit One is a LED moving head by Showtec. It is a powerful moving head which is equipped with 36 1W LED's, offering an enormous light output. The RGB color mixing provides an unlimited selection of colours to the user. It has a precise and accurate 16 bit movement as well as auto-correction on pan and tilt movement.